Celebrate the season by exploring the beautiful Sammamish Valley during the annual Fall Harvest Celebration. Visit farms and businesses to enjoy food and farm demonstrations; take a class; chat with a farmer; enjoy farm inspired art. You’ll find a variety of activities that celebrate the fall: learn about local farms; sample freshly pressed apple cider; taste farm-fresh food and local wine; dig in some soil and take a walk in a peaceful farm field. Each location will have its own schedule of events during the Valley celebration. All ages are welcome and most activities are free. 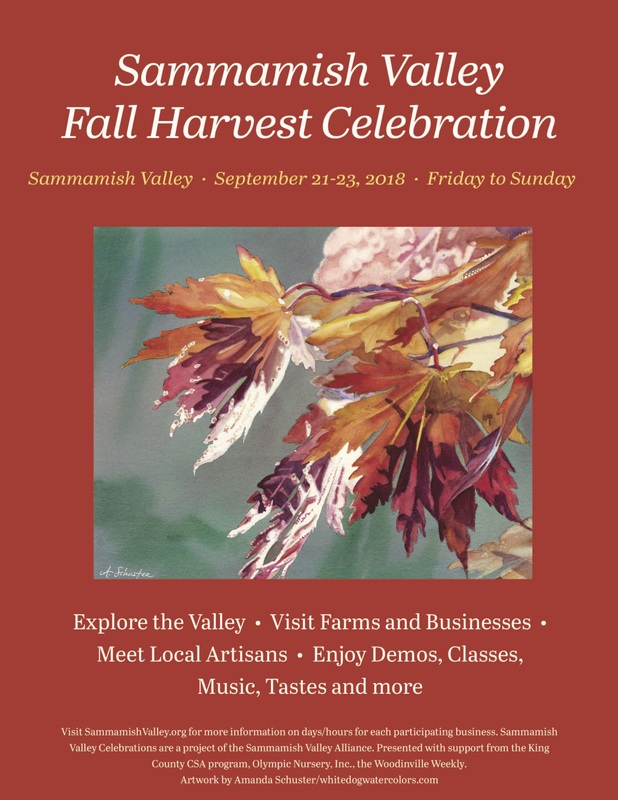 Visit the Sammamish Valley website for more information and individual schedules on what’s happening throughout the weekend at each farm and business.